One of American Folklore's most cherished characters is the giant lumberjack, Paul Bunyan, and his enormous blue ox, Babe. 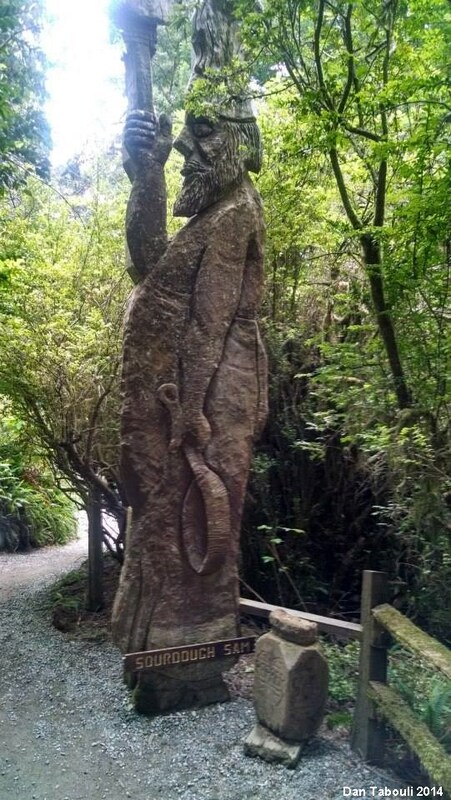 Statues of the two can be found throughout America, with one of the most impressive and memorable statues in California located in Klamath at the Trees of Mystery! 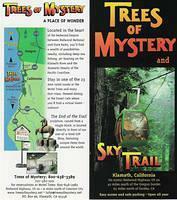 Founded in 1931, the Trees of Mystery is located 35 miles south of Oregon along Highway 101. 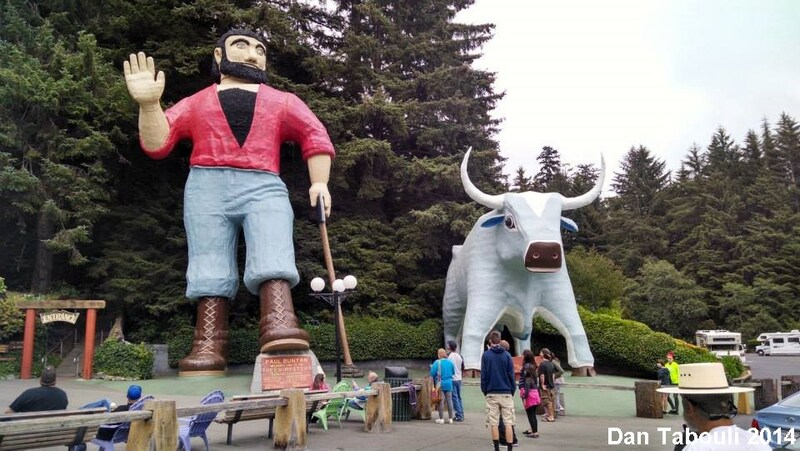 Greeting visitors to the Trees of Mystery are two enormous statues of Paul Bunyan and Babe! Both are viewable from the highway. 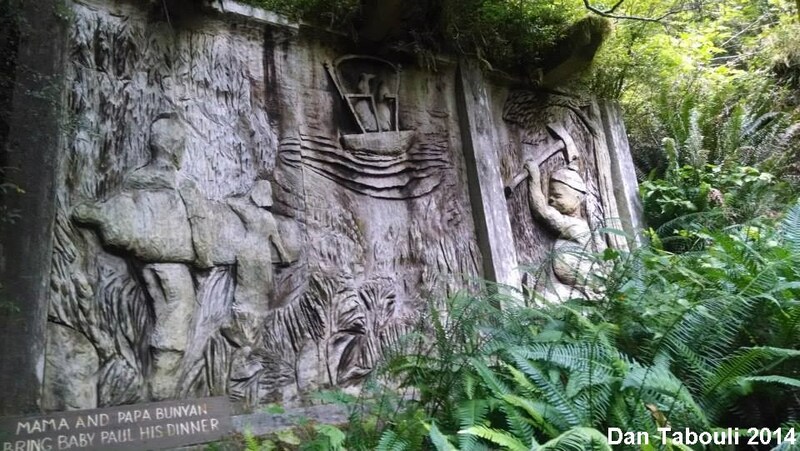 Paul first showed up in 1946, but was soon destroyed by rain. The current Paul Bunyan arrived in 1961. Babe joined the Trees of Mystery in 1950. 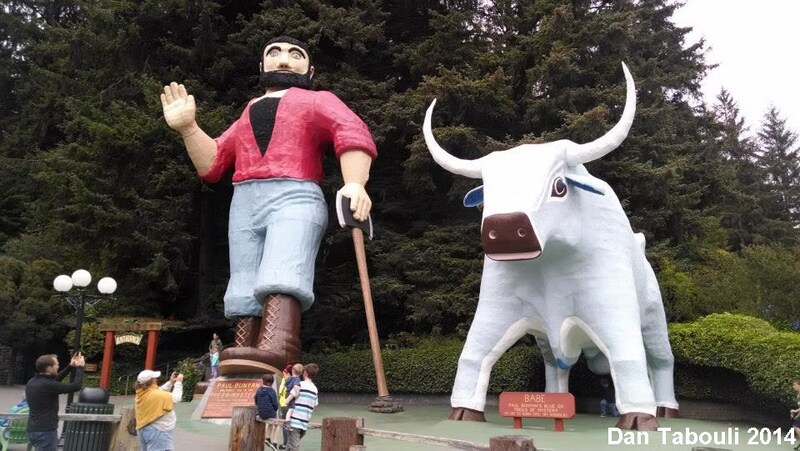 Paul Bunyan stands 49 feet tall and is able to carry on conversations with the tourists standing in front of him. His eyes also blink, his foot taps, his neck swivels, and his hand waves. He holds a 24 foot long ax and wears 10 food tall boots. Supposedly on hot days he can expand, increasing his height by a full 3/4 of an inch. Babe is thirty five feet tall, and is known by those with dirty minds for his big blue testicles. The big blue ox temporarily lost his 1000 pound head in 2007, but it has since been replaced. 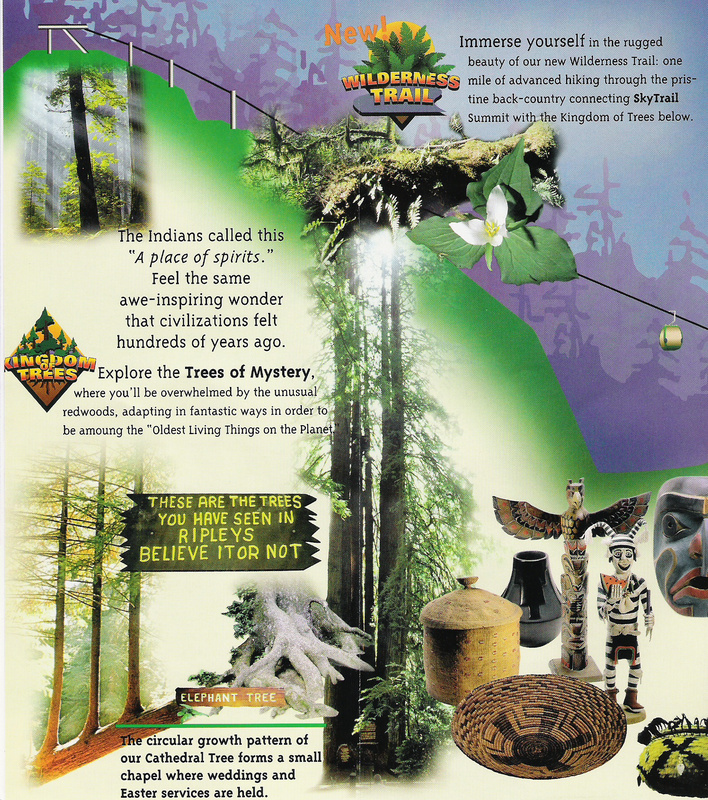 Once you get past marveling at the gigantic Paul Bunyan and Babe, the rest of the Trees of Mystery consists of trails leading past beautiful and majestic redwood trees. 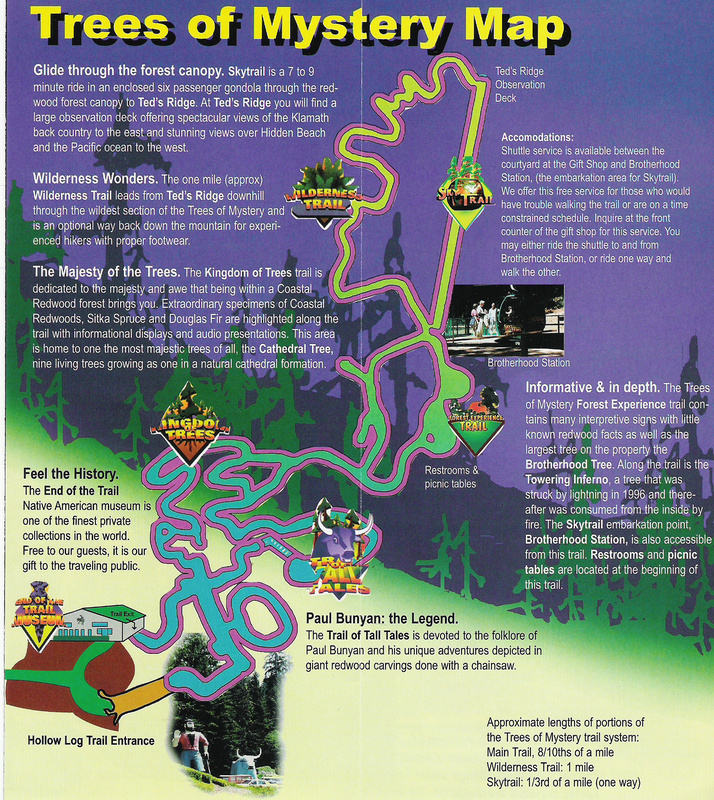 The first part of the trails is called the Trail of Tall Tales which showcases multiple chainsaw carved wooden sculptures depicting Paul Bunyan, Babe, and other characters of folklore and legend. 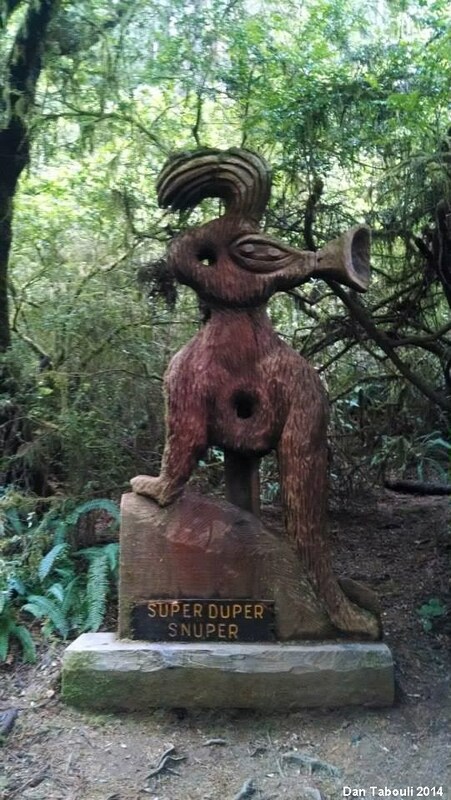 Carvings of events from Bunyan's life can be found along the trail, along with such colorful wooden sculptures like the Super Duper Snuper and Sourdough Sam. After the Trail of Tall Tales, much of the rest of the nearly one mile trail allows visitors to explore the amazing redwood trees. Other trails include the Kingdom of Trees consisting not only of redwood trees, but also spruce and fir. The Cathedral Tree also grows along this part of the Trees of Mystery. The Cathedral Tree is nine living trees that grow together to form a cathedral like structure. Multiple weddings have occurred within it. 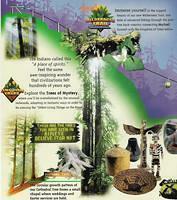 There is also a Wilderness Trail which is more like an actual hike. 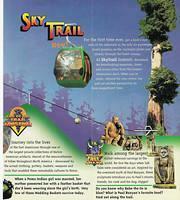 For truly impressive views of the forest and the trees within it, you can take a ride on the gondolas of the Sky Trail. 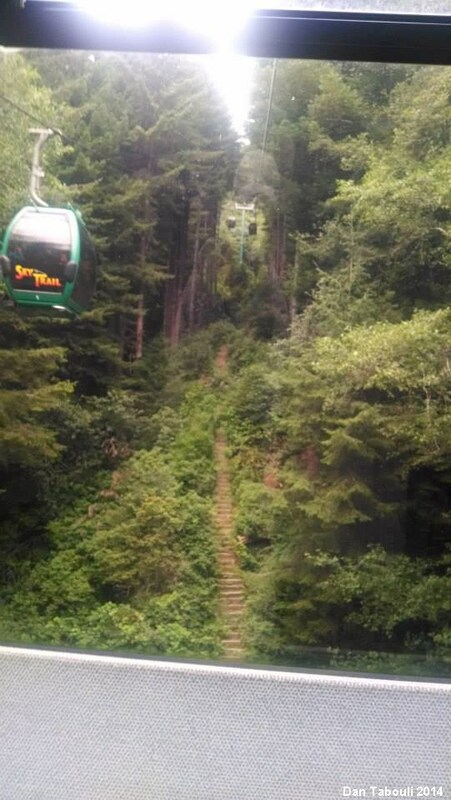 Built in 2001, the nearly 1/3 mile trip takes about eight to ten minutes, taking passengers along the tops of the redwood trees in eight enclosed gondolas. 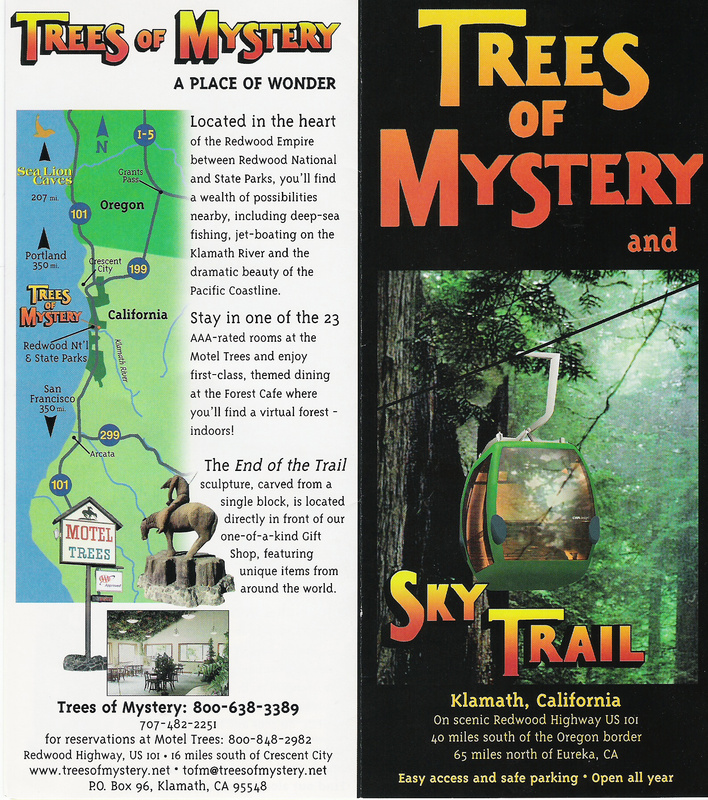 As if a giant Paul Bunyan, a large blue ox, a trail of wood carvings depicting American folklore, and a Sky Trail through the tops of redwoods wasn't enough, the Trees of Mystery also has a motel consisting of 23 rooms called Motel Trees, and a restaurant called the Forest Cafe. The Forest Cafe has some excellent decorations, with one room resembling a forest and another room set up to resemble dining under a river, complete with fish and ducks swimming on the ceiling the bottoms of the animals dangling from the ceiling above the diners. Other giant Paul Bunyans can be discovered throughout the country in places like: Akeley, Minnesota; Bangor, Maine; Bemidji, Minnesota; Bloomington, Minnesota; Brainerd, Minnesota; and Ossineke, Michigan. 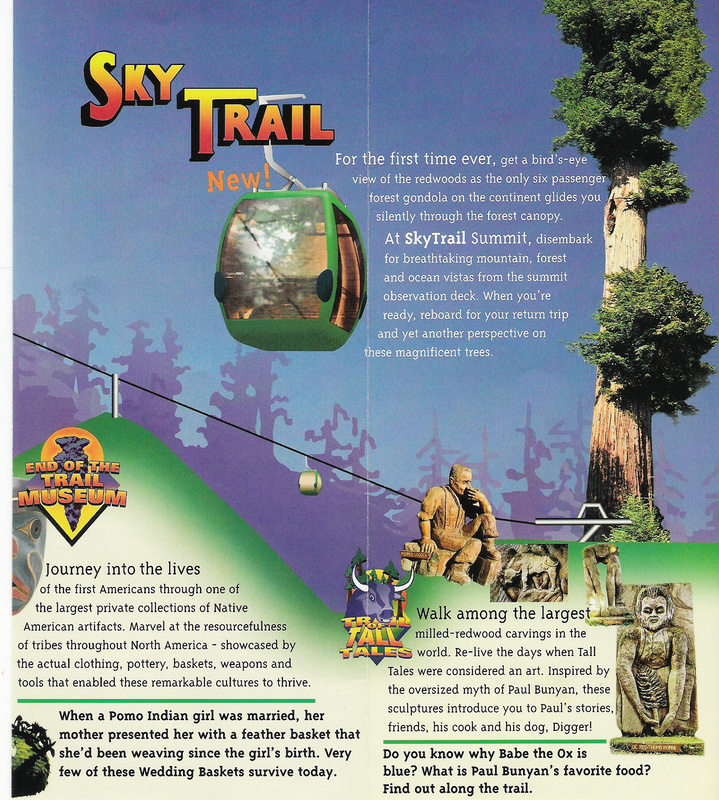 All pictures, except the brochure, are courtesy of Dan Tabouli.